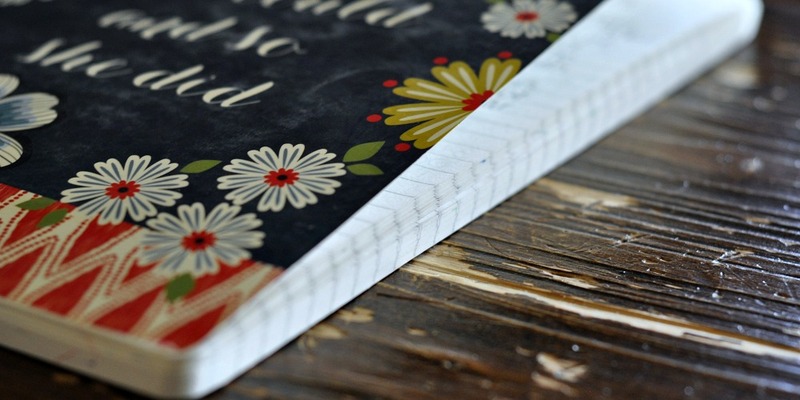 Grab your Bible of choice, Philippians writing plan, pen, paper–if you’re using something other than your Bible to take notes or reflections and anything else you need to get started. 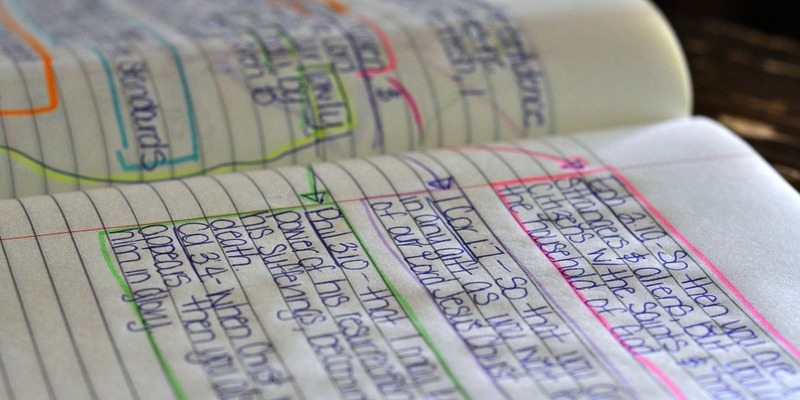 I use my large print Bible, Philippians writing plan, my computer, a composition notebook, a Papermate Inkjoy and my Bible highlighters. On my computer, I have these tabs open: Thesaurus, Haydock Bible, Bible Study Tools, ESV Translation online, and the Amplified Bible online. First, I open my Bible to the verse I’m supposed to write for the day and start writing. Although I have Philippians open on my computer, I don’t believe you can substitute an online copy for the actual Word of God. I prefer to see the Word in person and be able to run my hands over it. But that’s just me, it’s not the right way or the wrong way. I wrote the verse in my composition notebook. Next I read through it looking for words I didn’t understand, know or wanted to know what they meant in the context of this passage. I boxed the word “commonwealth” in and drew an arrow farther down the page for my notes. 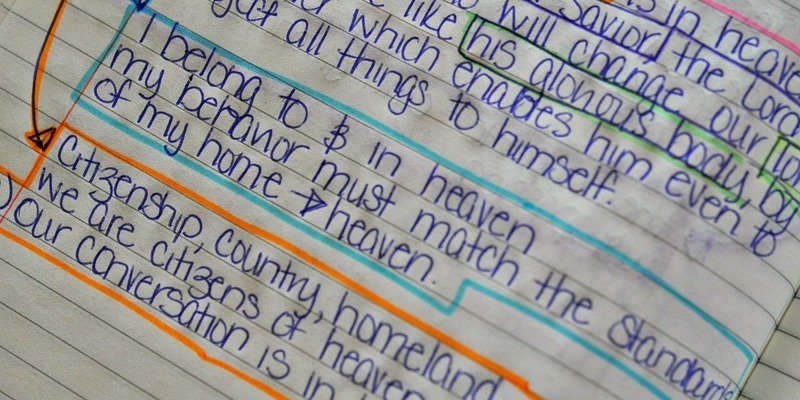 In order to keep the passage and my notes connected, in case there are a lot of notes, I connect them with an arrow–same color highlighter. 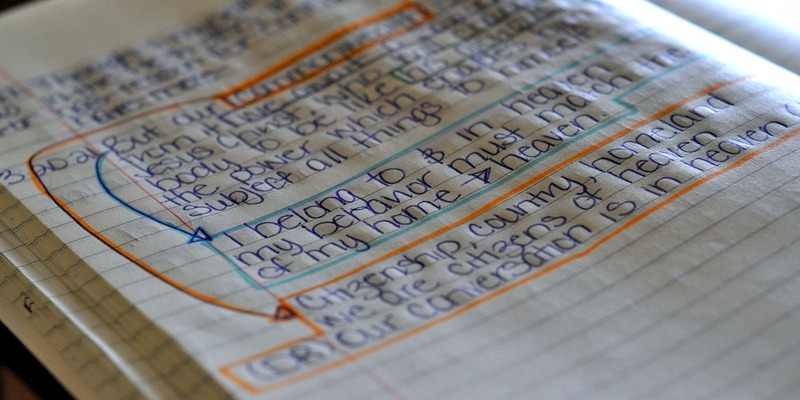 I opened the Thesaurus tab on my computer and typed in the word, “Commonwealth.” I wrote out the appropriate synonyms at the end of the arrow I drew farther down the page: citizenship, country, homeland. And then noted my initial thought–“We are citizens of heaven.” Next, I opened the Bible Study Tools tab and typed Philippians 3:20 in the search bar. 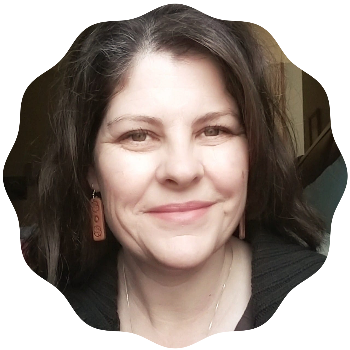 When it pulled up, I then clicked the little button “compare.” This pulled up Philippians 3:20 in all the translations of the Bible housed on that site–30+ different translations. I scrolled through this list and compared the different translations. I wrote down the version from the Douay Rheims, which was also the same as the King James Version, “But our conversation is in heaven: from whence also we look for the Saviour, our Lord Jesus Christ,” I wrote this one down because I loved that it stated our conversation is in heaven. I drew a pink arrow from, “is in heaven” to the other side of the page. I pulled up the ESV translation online for some cross reference and found Ephesians 2:19–“So then, you are no longer strangers and aliens, but you are fellow citizens with the saints and members of the household of God.” I connected this cross reference and the original passage with the pink arrow. I connected the words, “we await a Savior” to the other side of the page in purple with the cross reference to 1 Corinthians 1:7, “So that you are not lacking in any gift, as you wait for the revealing of our Lord Jesus Christ.” I connected the word, “lowly” to the synonym “humble” with a yellow highlighter farther down the page. I again went to the ESV translation online to see if there were any cross references to the part of that passage that states, “his glorious body.” There were two, Philippians 3:10 and Colossians 3:4. I wrote these on the other side of the page and connected them all together with my green highlighter. In this particular example, although I read through notes and cross checked in the Haydock Bible and the Amplified Bible, I didn’t find any new information or anything in particular that helped me to understand these passages any better, sometimes that happens. Other times I fill up both sides of the composition notebook and have to tape in another page of notes. Now, a couple of things, this process could take as long as you wanted it to. And if it started getting too long one day, you could divide it into days or weeks of study. You could also pull in different resources like commentaries, sermons or homilies. 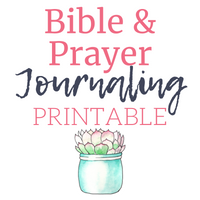 You could get out your Bible journaling supplies–washi, stamps, stickers and embellishments. 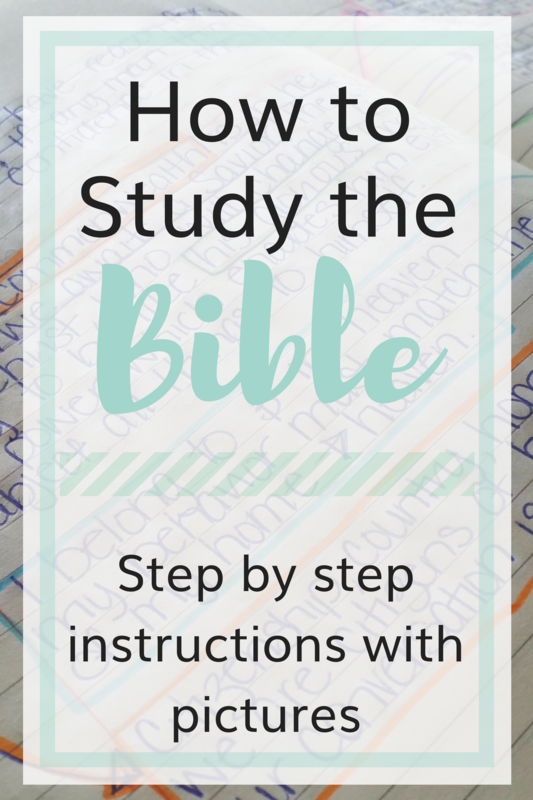 I hope this answers some of the questions you’ve had about how to study the Bible. If you’re more of a visual learner and would appreciate a video on the subject, please let me know in the comments. I love this thank you for sharing. I would love a video. 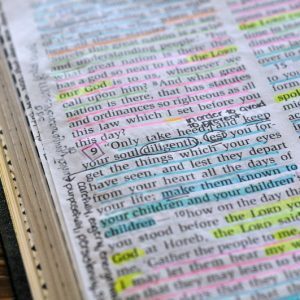 Is there a reason you choose the ESV for cross-referencing? 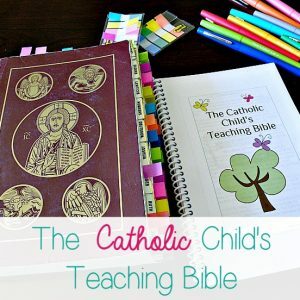 Is there a link for the Haydock Bible? Here’s the Haydock link http://haydock1859.tripod.com/ I like the online format of the ESV, the translation is similar to the NRSV I use and I have found it honestly just contains more cross references than other translations–online at least. I would love a video, it’s sometimes hard to grasp a concept that is broken up with add. (I read TLW on my phone) Thanks for all your help! Very good, I’ll make one then. I would love a video! Sometimes reading AND seeing connect the dots for me! Thanks for sharing! Of course! I’ll work on one. I’m a visual learner, that’s why I asked.